BRYAN EATON/Staff photo. 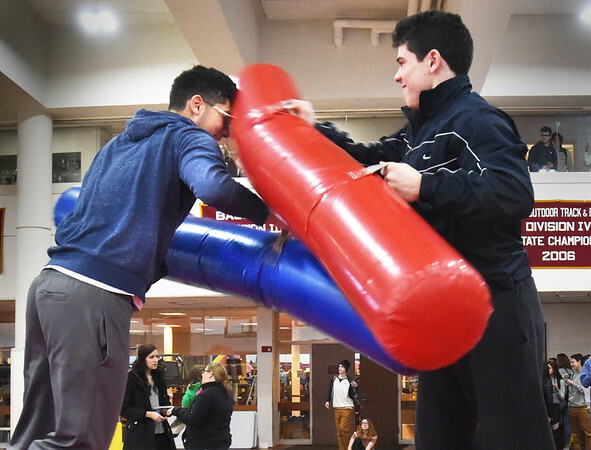 Andrew Wellmann, 17, left, and Seamus Webster, 16, compete in "inflatable jousting" at the Newburyport High School. The high school partnered with Newburyport Youth Services to create the first-ever "stress free zone" in the school's gymnasium during midterm exams.